Who says going to the gym has to be a hobby? Would you say that you are an “active” person? Maybe I need to explain this better. Do you consider yourself to be a healthy and athletic person who puts going to the gym above all? If you are, then maybe you should consider a career as a Certified Athletic Trainer. Right now, there are many schools that provide degrees for these careers in their health sciences departments. Right now, you may consider fitness as your hobby. But, if you can get paid to do what you love — why not got for it? [post_ads]As it turns out, finding a good paying career in this industry has never been more in demand. If there is one thing that people can agree on in terms of the job market, it is that people can count on the availability of careers in the health industry. 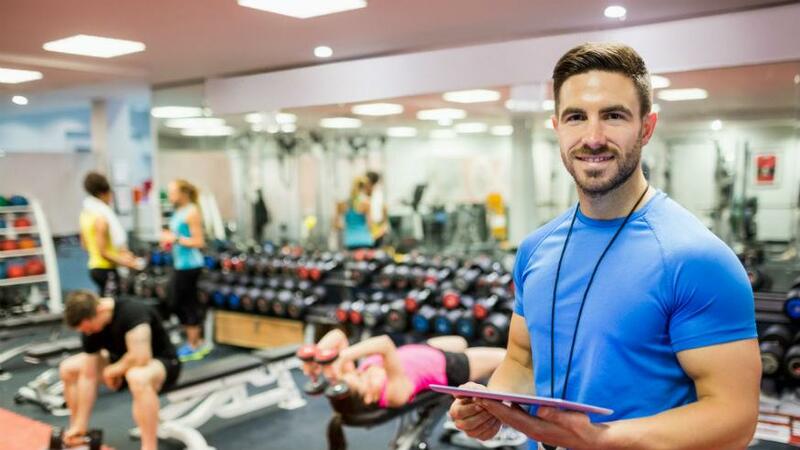 According to a report by the United States Bureau of Labor Statistics, the average salary for an athletic trainer is $46,630. The Bureau also predicted that this industry will increase 23 percent from the years 2016 to 2026 which means that the need for these positions will increase over the coming years. The Athletic Training Programs offered at Jefferson College of Rehabilitation Sciences are prime examples of health sciences degrees that can be achieved in a realistic time frame for those looking to enter the workforce at an accelerated rate. Graduates of the two year MS program will become Certified Athletic Trainers (ATC) with a program designed to prepare students for the National Athletic Trainers Association Board of Certification examination. By becoming a member of this association, you will belong to a large network of trainers and professionals and get up to date information on advancements in the industry. If students choose to take more of a time commitment to this program, they can enroll in the five year intensive BS/MS combined program that will allow them to find work in the burgeoning field of certified athletic training. These athletic trainers who enter the workforce will be able to work with physically active clients in order to help them understand their own bodies in order to prevent injuries and push themselves to the limit in ways that will increase the outcome of their workouts. Graduates will be able to assess and understand while rehabilitating existing injuries as well as provide emergency treatment and recommend clients to specialists in order to repair more serious injuries. For more information on The Athletic Training Programs offered at Jefferson College of Rehabilitation Sciences, make sure to jefferson.edu to schedule your own personal tour of the campus.